- The safest way to utilize co-curricular is during out-of-school time programming/activities. 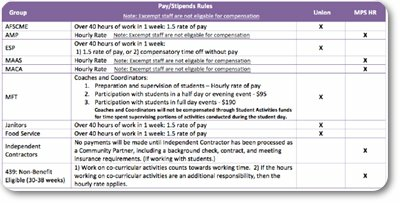 Staff cannot be paid with co-curricular monies for activities that take place during paid parts of their duty day or when they are working and being paid through another funding source (ALC, Community Ed, Beacons etc. ).